Website Services | Com-Tech of Miami, Inc. Website Services - Com-Tech of Miami, Inc. Almost all businesses today have a web presence for marketing and/or sales. 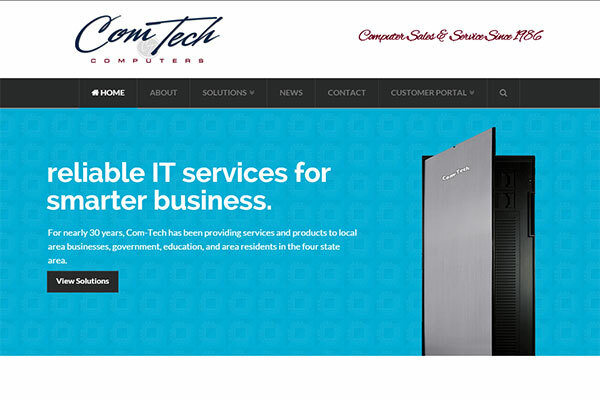 Com-Tech offers website development, maintenance, and management solutions. If you are looking for a web presence, Com-Tech offers installation and configuration services for WordPress. It is an Open Source project that is cost effective for hosting, and provides modern web standards. We also provide website services through other CMS platforms if you have an existing website. Whether it’s a few simple site changes you want performed, you need a new website, or making your website mobile friendly, Com-Tech can help. *Flat Rates & Hourly Rates are for labor only. Software, web applications, hosting, at an additional cost.